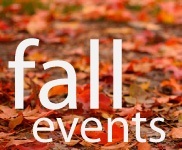 Upcoming Fall Events: Registration Now Open! In the  days until the election, we know there will be a lot of noise. But as Catholics, we need to keep our eyes on what is truly important. Christ. The best way we can walk through these next three weeks is to simply follow Christ in every thought, word and deed. 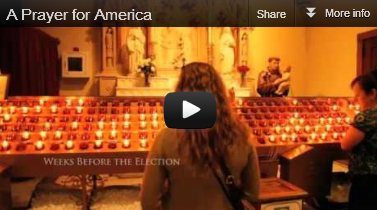 Please share the video with your family and friends and encourage them to join us in prayer for our country and the values for which it stands. Please join us this Saturday as we offer up our prayers for the return of respect and legal protection for all life at the Respect Life Mass celebrated by Bishop Doug Deshotel at 8 a.m. at St. Patrick in Dallas with a special blessing for all staff and volunteers in Respect Life ministries (additional details below). or 972-519-0989, for more info).
. Sponsored by Save America Sunday. Enjoy this festive event benefiting the Catholic Pro-Life Committee and local Catholic pregnancy resource centers Birth Choice of Dallas and White Rose Women's Centers. The unique gift market is open to the public from 9 a.m. to 2 p.m. (with a new silent auction), and the luncheon, featuring Father Jason Cargo, begins at 11:30. For more info and to make your luncheon reservations, visit prolifedallas.org/luncheon. You don’t have to attend the luncheon to shop the market. In last Thursday night's vice-presidential debate, Vice President Joe Biden spoke inaccurately about the HHS mandate and its impact on Catholic institutions. The United States Conference of Catholic Bishops issued the following statement the next day in response.